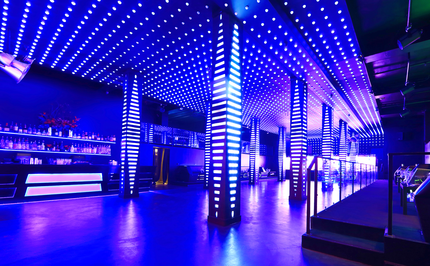 A venue for artists, by artists, Temple Nightclub offers a night life experience that is unrivaled in the San Francisco Bay Area. From awe-inspiring, fully immersive state of the art lighting and visuals, to a thumping custom sound system, multiple rooms of music, paired with world-class talent. Situated directly beneath the main room is LVL 55, Temple's futuristic, lower level. Complete with fifteen VIP tables, a custom-made DJ booth, and open-format sounds, LVL 55 elicits an underground party appeal for guests who prefer to venture away from the main room sound. At Temple Nightclub, we've created a whole new nightlife experience and we want you to be a part of it-we can't wait to see you on the dance floor! Temple Nightclub is a 21+ venue. We're open Thursday through Saturday weekly, with special events on occasional Sundays. Hours of Operation are from 10:00pm to 3:00am on Thursdays; 10:00pm to 4:00am on Friday and Saturday. What is the age requirement for entry? What is Temple's dress code? Dress Code is upscale fashionable attire. We do not permit: hats, sandals, sneakers, ripped or baggy clothing and athletic wear. There is free parking all along Howard street and adjacent cross streets. Additionally, there is a paid parking lot on the East side of our building. Admission at the door varies nightly based on the talent of the evening. Basic admission on Thursday's is $10 but may range up to $30. Friday and Saturdays admission will start at $20 and may range from $20-$50 depending on who the featured artist might be. Do you offer Guest List? Guest List is only available on Thursday's events. Please visit our events section for more details for nightly event info. 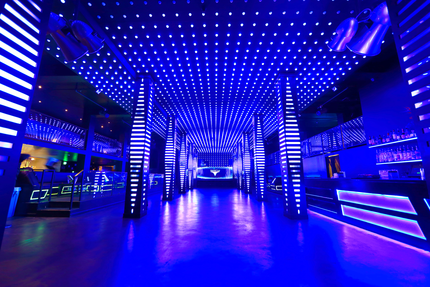 Temple nightclub offers private, and semi-private spacious nightclub tables coupled with VIP treatment. Table service pricing varies nightly and our VIP Manager can recommend the best experience for you. Table Service can be requested by calling or texting (415) 312-3668. Additionally you can Click here to book your VIP experience! How much do bottles cost? Our VIP Manager is able to review specific pricing details and requests. Please call or text (415) 312-3668 for more details. Temple offers a variety of musical genres. 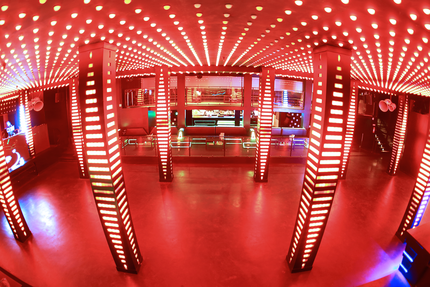 The main room features today's most influential Electronic Dance Music artists, and LVL55 features open-format music. Click here to see when your favorite artist is coming next! Where do I go the night-of if I've purchased pre-sale tickets? Please proceed to the "Pre-Sale Tickets" line at the front entrance. It will be a designated line with ticketing signage. Do you guys have a coat-check? Yes. We have a coat check conveniently located just past our ticketing booth. Do I have to print my ticket or can you scan from my phone? Yes we will have scanners the night of to scan from your phone. 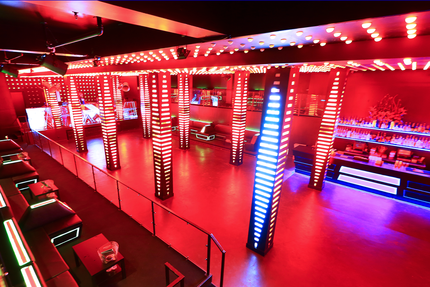 Please contact our corporate events manager at (415) 312-3099 to book Temple Night Club as a Private or Corporate event venue space. - Due to high pre-sale ticket volume, we ask guests to please arrive early to avoid long-waits in line. Doors open at 10pm and we recommend that guests arrive with their ticket (paper or phone,) along with valid identification in-hand , in order to expedite entry for everyone! - Management Reserves all rights to restrict admittance into the venue including pre-purchased ticket holders. Management may refuse entry to any ticket holder as they see fit including, but not limited to, Dress Code violations, intoxicated patrons, unruly patrons, and patrons with illegal substances or carrying out illegal acts. For seamless entry, please plan and dress accordingly. Our tickets are a final sale. No refunds, exchanges, or cancellations.